» WEDDINGS » Mom Becomes Pregnant With Son’s Baby So That He And Wife Can Start A Family. It’s very natural to want to become a parent once you have chosen someone to settle down with. However, not everyone is fortunate enough to be able to start a family without having to contend with a few relentless obstacles thrown their way. Here in this article, we have covered a very unusual but true story that will blow your mind. 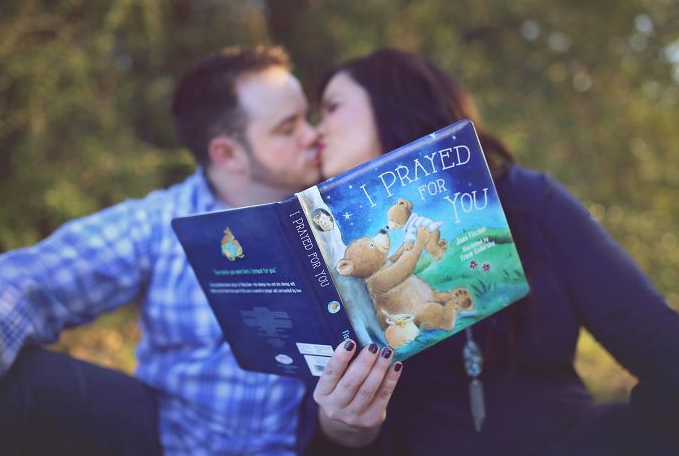 Here is the story of a mom who became pregnant with son’s baby so that he and wife have a family. Let’s take a look! 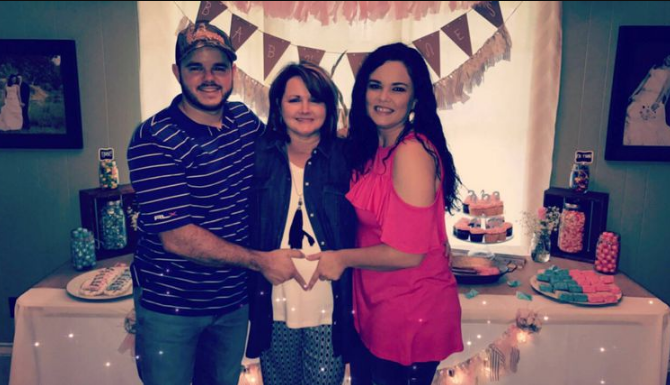 Twenty-nine-year-old Kayla Jones from Texarkana, Arkansas, for instance, was desperate to have children with her husband Cody, after getting married in 2012. 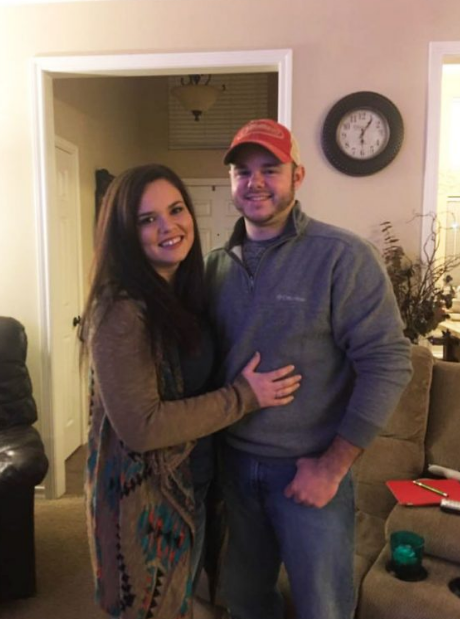 Unfortunately, Kayla and Cody’s dream of starting a family seemed near-impossible because Kayla had undergone a partial hysterectomy when she was just 17 years old. She was told that a tumor had begun growing in her uterus and that a partial hysterectomy was thus necessary. “Doctors were able to save both of my ovaries, but they had to remove my uterus because there was no normal uterine tissue left,” Kayla told ALT Magazine. 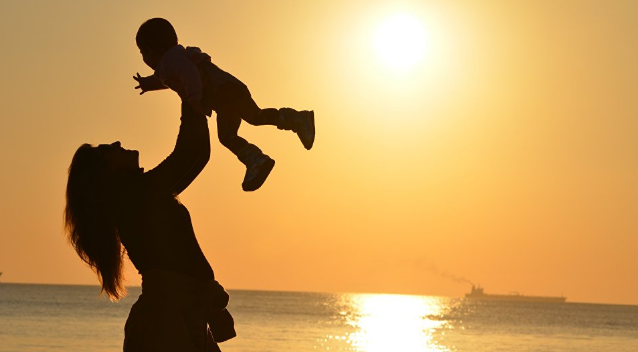 Kayla then learned that she would not be able to have children naturally – if she and her husband wanted to have children who were biologically related to them, someone else would have to carry them. “Doctors informed us the only way I could have biological children was to have a gestational surrogate,” she added. So Kayla and Cody went on the hunt for potential surrogate mothers but to no avail. 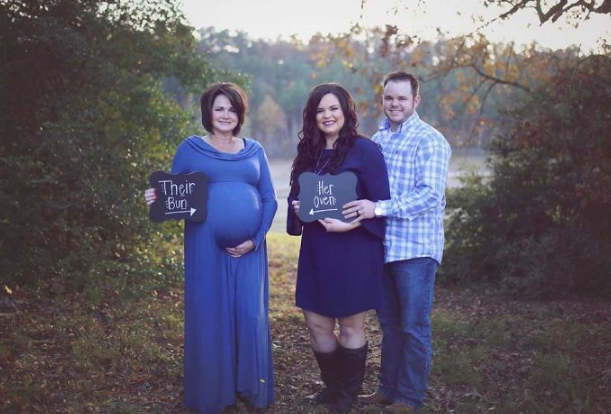 “All of our options [for surrogates] had run out,” Kayla explained. 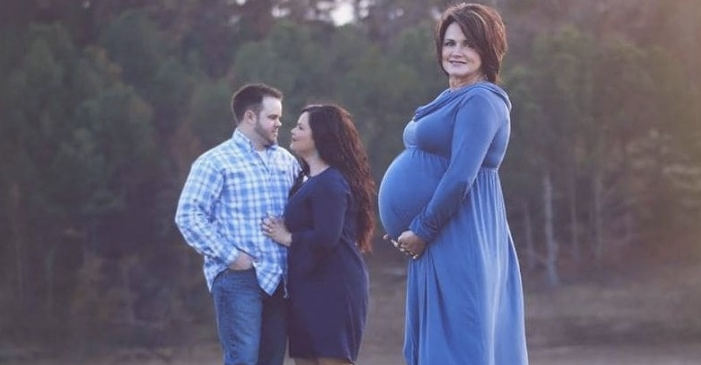 Luckily, Cody’s 49-year-old mother, Patty Resecker, was very willing to be the couple’s surrogate. This is the story of a mom who became pregnant with son’s baby. 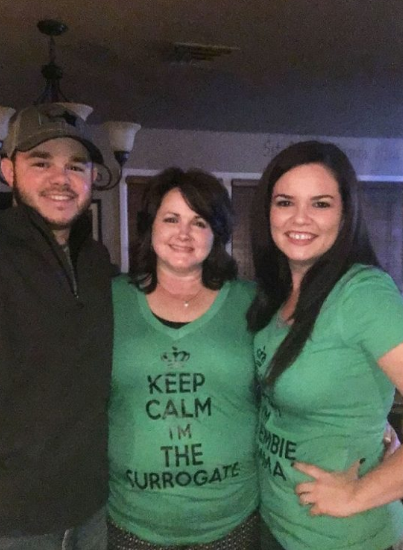 You might have heard several stories but this story of mom becoming pregnant with son’s baby is something that a lot of people have never heard of. Title : Mom Becomes Pregnant With Son’s Baby So That He And Wife Can Start A Family.